Like its predecessor, the Infinity by Harman INFPRV315.2 has no moving parts, a rotary encoder and large buttons that make it easy to change settings, even underway, and dimming control for the faceplate display. 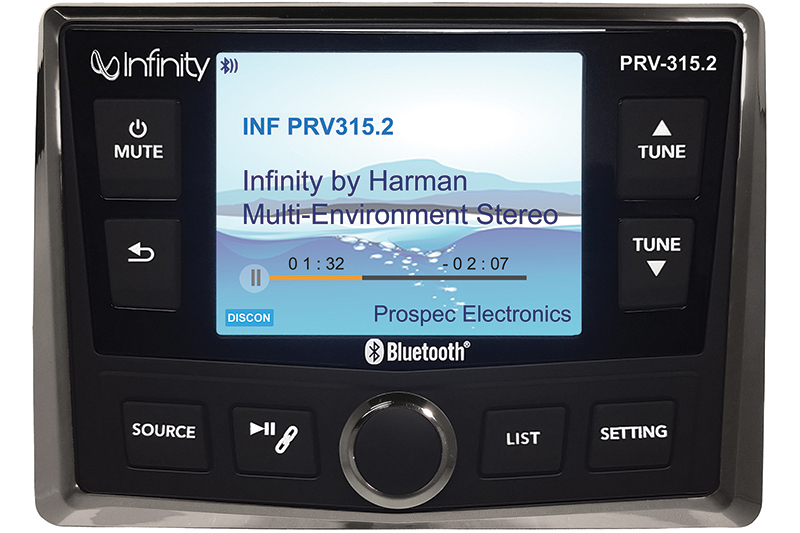 INFPRV315.2 includes a rear video input for playback on its 3.5-inch color TFT screen and a 2-ohm stable internal amplifier that allows up to eight speakers to be wired in parallel, connecting to the head unit without the need for an external amplifier. It can be installed from the front or the rear.